Did you know that self-tanning at home is increasingly becoming trendy these days? Statistics from The Indoor Tanning Association indicate that about 10% of Americans prefer home tanning. So you may ask; are tanning beds safe? This page outlines both the pros and cons of using tanning beds, whether for home use or in a tanning salon. A body that is tanned looks very beautiful, gorgeous and perfectly toned. It is best at concealing skin irregularities. However, you may want to be extra careful on how you receive the tan in order to avoid risks such as skin cancer. It is paramount that you analyze and understand the type of your skin before you use a tanning bed. In this way, you will be able to determine the amount of tanning that’s best for your skin, the duration you need to stay on the bed and the appropriate lotion you need. Most salons will ask you to fill out a questionnaire prior to offering their services and you should be absolutely honest with your answers. The information you provide will guide them to know whether it is safe for you to tan or not. People with type 1 skin or with a family background of skin cancer are strictly not allowed to use tanning beds. Wax or shave: It is recommended to shave a day before, waxing should be done two days prior to using a tanning bed. Many people have discovered that doing so will create longer-lasting effects. Build a pre-tan: If it is your first time or you are re-tanning after a longer break, make sure that you tan in short sessions so as to build up tan in a few days’ time. This allows gradual production of melanin in your skin while at the same time minimizing the risks of skin burning. Plan ahead of time: It often takes one day for your skin to show tan. So, if plan to get tanned for an upcoming occasion such as prom or a party, then you will need to get to the tanning bed at least a day before. A quicker way would be a spray tan. In order to get an evenly tanned skin, just follow these easy to follow instructions. Exfoliate: Use a nice scrub to massage your skin. Do so carefully in order to remove the layer of dead skin. Pay special attention to your knees and elbows. It is recommended that you follow with a warm shower, to get rid of any perfume or cosmetics. Use bathing gel, clear or mild soap for the shower. Moisturize: After your shower, use a light lotion, especially in sensitive areas such as the buttocks and breasts. Avoid using heavy moisturizers that would block the pores of your skin. 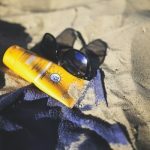 Tanning lotions: Lotions used for tanning beds are often different from the ones used for outdoor tanning, so make sure you use the right lotion for the right occasion. Make sure to apply the lotion in circular, light movements. This is to avoid damage to your skin and prevent patchiness. You might still be pondering the question; are tanning beds safe? Well, read on to find out more. Jewelry: Make sure to remove all jewelry and any other accessories to avoid patches and tan lines. Contact lenses: Remove your contact lenses or regular glasses. They might break due to high temperatures in a tanning bed. Eye protection: It is a must to use protective eyewear gear. This will help to prevent damage to your eyelids. Remember, your eyelids have some of the thinnest membranes in your body. Ask your salon to provide you with the appropriate options they have, if you don’t have your own goggles. Regular goggles or sunglasses are not recommended because they do not offer effective protection. Sunscreen on lips: Note that lips are generally sensitive and they don’t not have melanin. Using a Chap Stick with SPF would prevent your lips from burning or chapping. Exposure: Avoid staying longer than the recommended time in your tanning bed. Overexposure to UV-light can not only accelerate aging and cause skin burning, it also presents the highest risk for getting melanoma. Additionally, try to avoid the sun for that day. Position: Lie flat on your bed with your legs slightly bent. Swivel around slightly in order to expose most parts of your body. For instance, you may lift up your arms to acquire some color in your armpits. Spread your legs to reveal the inner thighs. Do not rest your chin on your chest to avoid white stripes on your neck. Protection against the adverse effects of tanning ought to be your ultimate concern. 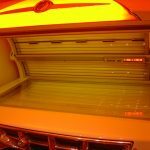 Many people claim to understand the adverse effects of using tanning beds but rarely do they seem to know the precautions and safety factors that come with it. If you want a safe alternative for getting a nice tan, take a look the best self tanners. Types of tanning beds: With a myriad of tanning beds in the marketplace, it might be hard to distinguish a good one from a bad one. Using a good quality tan bed for your indoor tanning is worthwhile your safety. Make sure to carry out thorough research before making your purchase. If visiting a tanning salon, take note if they maintain they beds well. 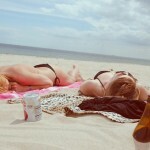 Check to see if they display posters about tanning safety in clear view of their customers. Tanning lotions: The type of tanning lotions you use determines the level of UVB and UVA rays that reach your skin. You need to use tanning lotions that are specifically meant for tanning beds. This will not only keep your skin safe, but young and luscious. Tanning beds emit Ultra violet rays which may cause your skin to age prematurely. Duration: The maximum allowable time to expose your body on a tanning bed is twenty minutes per day. Safety advice: If you are considering buying a tanning bed, get to know your body’s reaction when it’s exposed to sunrays. It is recommended that you wear goggles that are provided by the company. Shower: After tanning, relax for at least half an hour before taking a shower. This would allow the tan to settle in. Moisturizer: Make sure you moisturize at least twice in a day. A dry skin does not look nice after tanning, but avoid soaps that contain heavy moisturizers. Schedule: Make sure you tan regularly, but in small sessions. This is much better compared to going for longer sessions. So, are tanning beds safe? Tanning beds have the same risk as tanning in the sun. 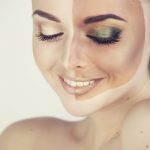 If you take safety precautions and get a professional recommendation based on your skin type in your local tanning salon you can minimize the risks. Don’t forget to moisturize your skin often and the most important thing: do not overexpose yourself. If you are pregnant, this article is a must read.